Would never have marked myself as a ruffley kind of girl – other than a raspberry ruffle. 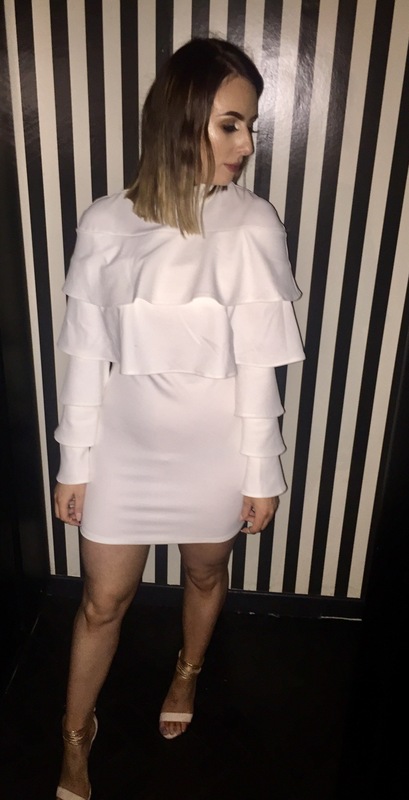 But seeing them appear more and more across the highsteet and catwalks I decided to give it a go with this beaut white dress from Missguided. I kept it so simple as the dress has that much detail it didn’t need anything else. Can’t say I’m surprised though as they were reduced to £10 so I was well excited by these. Just had a plain rose gold clutch from Primark also. What do you gals think of the ruffle look? I died when I saw this on Instagram, you look amazing in this and all its ruffles glory!!! !